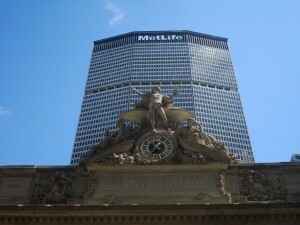 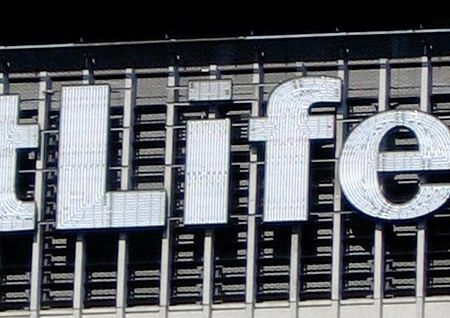 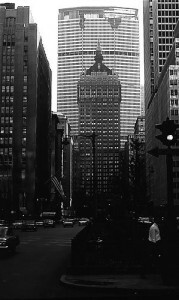 Today it’s the Met Life Building. 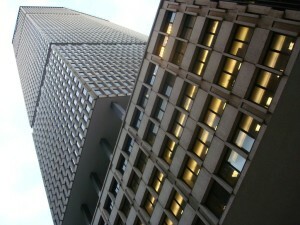 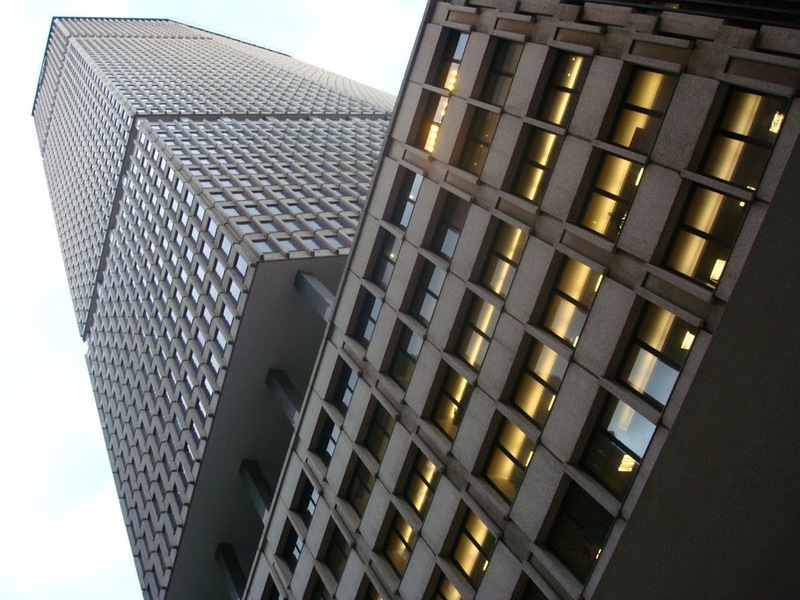 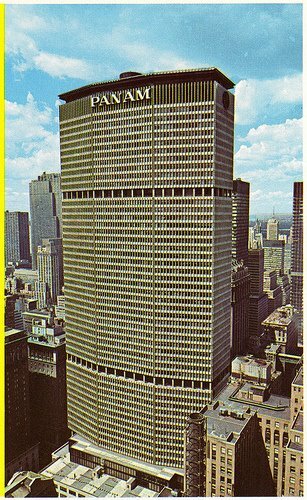 It’s been called the ugliest building in New York City. It sits like a monolith behind one of the city’s most enduring icons Grand Central Terminal. 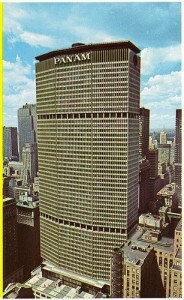 But it’s got some secrets you may not know about. 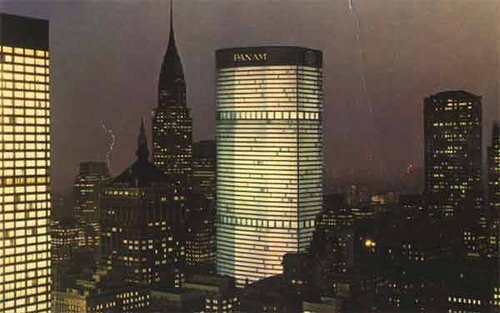 In this podcast, we scale the heights of this misunderstood marvel of modern architecture. Another angle, year of photograph unknown. In this picture, taken in 1962, the monolith is almost complete. 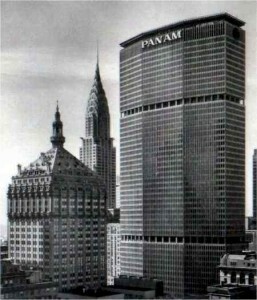 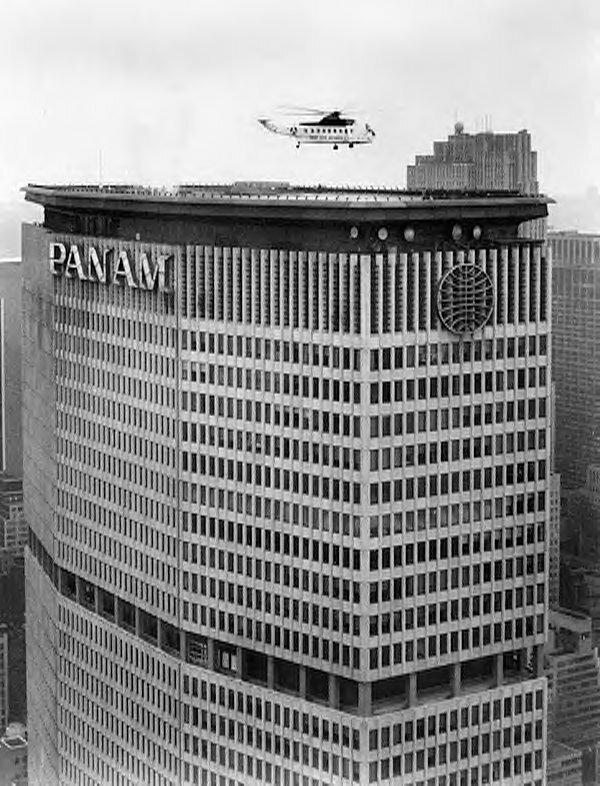 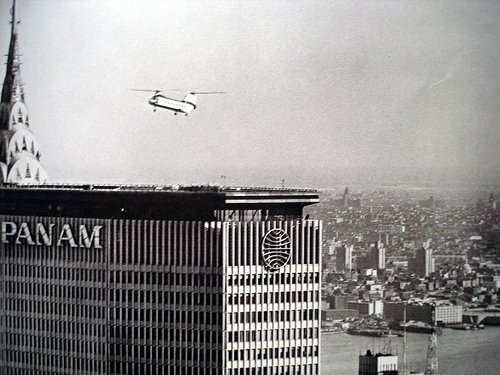 New York Airways once provided helicopter service from the top of the Pan Am in the 1960s. 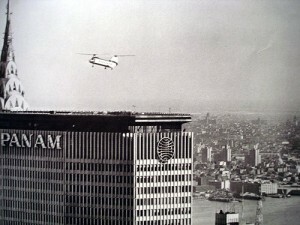 It was briefly revived in 1977, but a tragic accident killing five people ensured it would never be tried again. 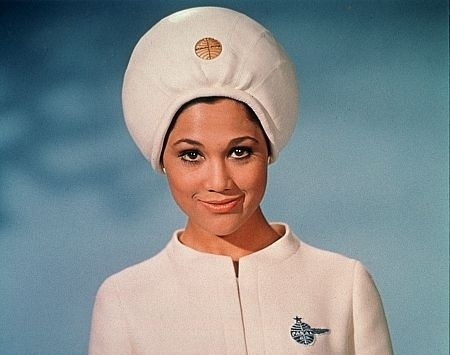 When Pan Am moved into the building in 1962, they were one of the world’s leading airlines, best known for their on-board service and fleet of attentive flight attendants. 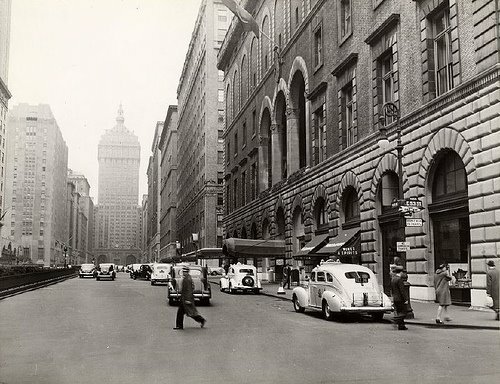 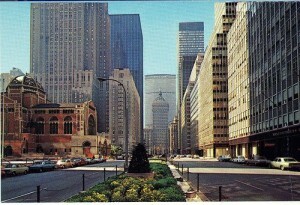 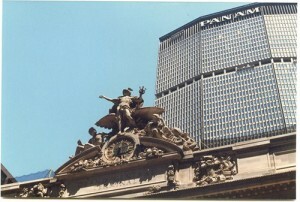 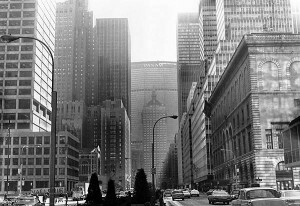 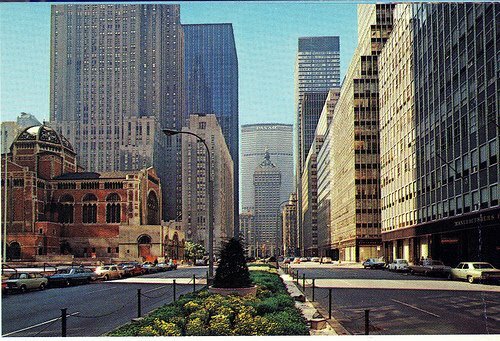 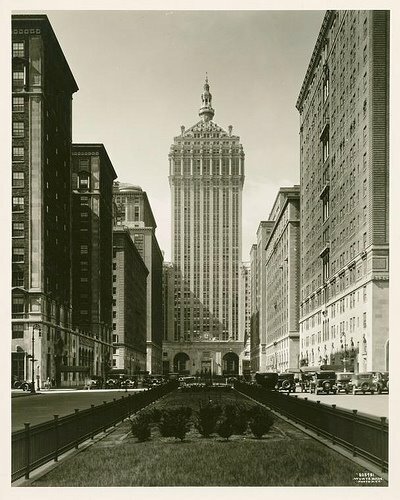 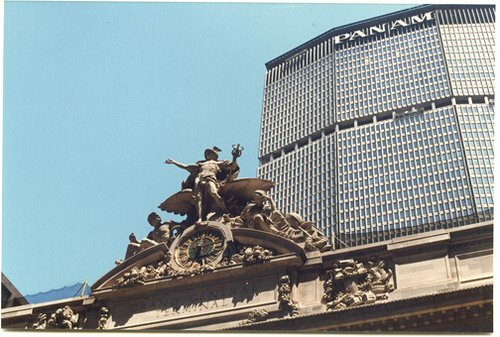 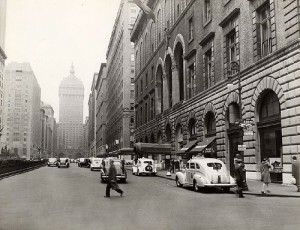 Its relationship to the Helmsley Building has caused great controversy over the years. Some say it’s like hanging a work of art in a cheap frame. 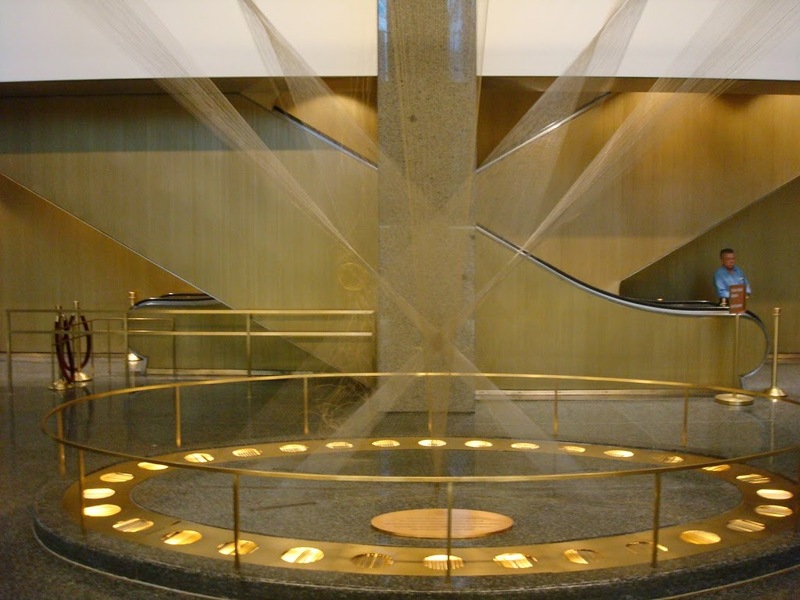 Inside the lobby: Flight, the expressive wire sculpture of Richard Lippold. 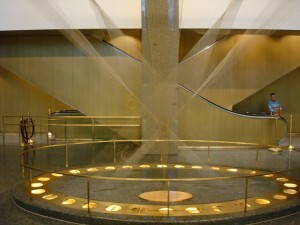 The lobby once also held a painting by Josef Albers. 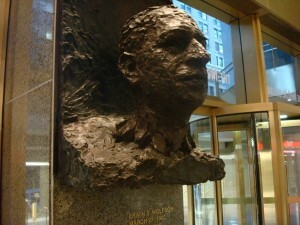 This rather grotesque bronze bust of Erwin Wolfson greets you as you enter the building.